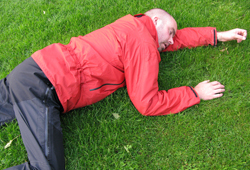 This course is designed to revalidate a First Aid at Work Qualification. 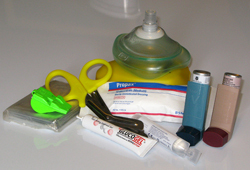 The previous First Aid at Work qualification can be revalidated provided that it is no more than 28 days beyond its expiry date. Employers should note that a certificate beyond its expiry date but within the 28 day revalidation limit does not qualify the holder to act as a statutory first aider. 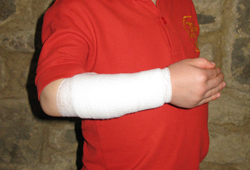 Candidates must supply their previous First Aid at Work Qualification details before attending the course. If individuals attend the course with an invalid certificate then no statutory FAW certificate can be issued. 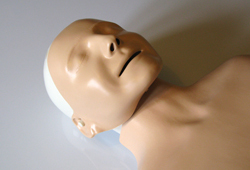 The 12 hour revalidation course covers all of the content of the 18 hour First Aid at Work course. The FAW-R component of the course must comprise a minimum of 12 contact hours typically delivered over two days.Current regulations stipulate that the additional industry specific content must be delivered outside of these 12 hours. A typical FAW-R course lasts approximately 14 hours i.e. 3 days of 9.30am – 4.30pm (allowing time for breaks). The 12 hours of the core FAW-R syllabus need not be delivered in only three days, in fact sessions of a minimum of 2 hours can take place over a period of up to 6 weeks. This allows us the flexibility to deliver courses around your workload and availability. A further 28 days beyond the original certificates expiry date is permitted for revalidation but the certificate is not considered valid for statutory first aid at work purposes. Our group booking rates exclude any venue costs. NPTA can arrange a suitable third party venue for your training at an additional cost, or organisations may provide their own venue.